The first time I lifted weights with any serious intention whatsoever was in 1992 at the age of 33. Before that I did what most people do and just wandered blindly from one machine to the next and banged out enough reps to get the target muscles tired. I never truly exerted myself. I’m sure we’ve all seen this in the gym, just look at 99% of the people exercising and none of them is treating it like a life or death struggle to reach a new peak of exertion. They work out like they wash their car or drink a cup of coffee – casually and with zero passion or purpose. The ‘ah-ha moment’ for me came when I learned about the role of intensity in causing muscle growth. It’s one of those things that makes perfect sense. A skinny guy can lift 100 pounds one time, a guy with bulging muscles can lift 400 pounds one time. Fine. We understand that big muscles can lift more. But the skinny guy can rest a bit and lift 100 pounds four times. So he also lifted a total of 400 pounds. Why isn’t he as strong? Why aren’t his muscles as big? It’s obvious. He took more time to lift 400 pounds than the big guy took. So muscle building isn’t just about what you can lift, it’s equally about how much time it takes you to lift it. And that, my friends, is the definition of intensity. Yet everybody – and I mean everybody – in the gym was completely ignoring the time side of the equation. So what if you did three sets of twelve reps with 265 – how long did it take you, Pal? Without knowing the time there is no way to know how intense it was compared to the last workout or the next workout. Next came the knowledge that very, very brief exercise could still trigger muscle growth. That was the birth of Static Contraction training that measured intensity in seconds rather than minutes. We started with 30-second holds. They worked. So we did 20-second holds. They worked. So we did 10-second holds. They worked too. Finally, we tested 5-second holds and, not surprisingly, they generated the highest intensity per second because you can always hold a heavier weight for five seconds than you can for ten seconds. The absolute highest intensity we could reliably measure with barbells and stopwatches was 5-second static holds. And boy, did that build muscle! It also absolutely minimized the wear and tear on the body that older people like me have to take into consideration. There has never been a more efficient way to build muscle and reduce the repetitive wear and tear of weightlifting. The only thing that will improve Static Contraction training will be the machine that measures output to the millisecond to determine every individuals optimum rep duration. That’s in the works. And by the way, when you are shooting for a clear goal that – by definition – you have never hit before, you can’t do it without passion. You have to psyche yourself up before the lift. You have to exert yourself with every scrap of concentration and determination. That isn’t boring. That isn’t like sipping coffee and daydreaming. It is classic ‘man against himself’ and it makes you feel the power of personal victory and triumph. And you get the certainty of mathematics to prove you are a better man today than you were last week. That is an astonishingly powerful feeling and I believe it’s also it’s own vaccine against common depression. But that’s another blog post. Speaking personally, my ‘overnight success’ is yet to come in this realm. Power Factor and Static Contraction training are not household words. When that day does come, and it eventually must, it will be like every other ‘overnight success’ in that many years of quiet experimentation, trial and err and not a little ridicule laid the foundation for the inevitable widespread recognition of the bloody obvious. It was ever thus. People always resist new knowledge. But math and physics are never disobeyed for long and any honest attempt to maximize the intensity of weightlifting always leads down the inevitable path of measuring weight lifted per unit of time. You can measure in troy ounces per fortnight or grains per millisecond but whatever answer you get you always have the challenge of besting it the next time you’re in the gym. And that will take everything you have. If you succeed, you trigger new muscle growth. If you fail, you won’t grow. Period. You can still choose to train in a blind, haphazard way, never knowing your muscular intensity. But, knowing the facts of how intensity is objectively measured, why the hell would you? Seriously. What is to be gained by never knowing your all-important intensity of output? Want To Know What Works In The Gym? 1-Set? 2-Sets? 3-Sets? Strip sets? Pyramid sets? Fixed sets? Timed sets? What delivers the highest intensity? Great post Pete. The one thing you didn’t touch on that was for me the most important thing I’ve learned from you is the importance of enough rest between workouts. Its revolutionized my gym life and it still amazes me that I can go three weeks between exercises for a particular muscle group and yet be stronger next time. I do 3 minute timed sets and I’ve had to move to a more full range workout just because the weights had gotten so heavy I was having palm and wrist pain, and I had maxed out some of the machines. But the principles still apply, and I get stronger every time. One day the world will acknowledge what you’ve been saying, I’m just thankful I found this information in my life and have been able to utilize it. I don’t want to start a controversy, but I guess I am, to a certain extent, Pete. Recognized fitness/nutrition expert, Will Brink, took a bit of a swipe at you in a recent video on his website. The subject of the video was a parody on bogus fitness programs and machines that are mass-marketed on TV infomercials and the like. I think the swipe went something like, “hold a thousand pounds on a leg press for 20 minutes, while staring at a photo of Mike Mentzer”. Of course, it was all a parody and satirized a billion-dollar industry that hawks products that won’t work very well or as promised, much like the supplement industry infomercials. I’m just interested in your opinion on critics like Brink, whose articles I read as much as yours. Thanks. Thanks, Dave. The discovery of the role of rest is a corollary of measuring intensity. Once you start to measure you see that you aren’t getting improvement 100% of the time. You ask yourself why not, and that leads you to the realization that you are training too often and not getting recovery. What else could explain a bench press Power Factor of 6,500 on Monday but 4,900 on Friday? Your muscles didn’t vanish. You didn’t lose 4 pounds of muscle in 5 days. There is no reason to be weaker. Ah-haaaa, maybe I’m not fully recovered from Monday’s workout?? Maybe I need more rest? And sure enough when you take extra days off your bench press goes up to a new Power Factor of 7,880. Proof you did the right thing! You realize there is a big difference between just lifting weights and building muscles. I can lift weights 365 days a year, but I won’t cause muscle to grow on 90% of those workouts. You can’t have a science without measurements. 1. I’m not sure that is a swipe at me. There are a lot of goofy bodybuilding ideas out there to make fun of. 2. Will endorses the training system of a close friend of his, I’ve always assumed that kept him from talking about the merits of measuring intensity. 3. I get quite a few of these “he said, she said” baiting emails where somebody wants me to get in a flame war with some other person who says something negative about my training. It’s something I dislike about fitness in particular and the web in general. Lots of heat with no light. I’m in favor of measuring intensity then finding ways to maximize that intensity – I’ve never seen or heard a good argument against that. It’s very hard to construct an argument against measurement and precision and be taken seriously – most people just avoid the subject so they aren’t embarrassed by what an objective analysis would reveal about their recommendations. 4. 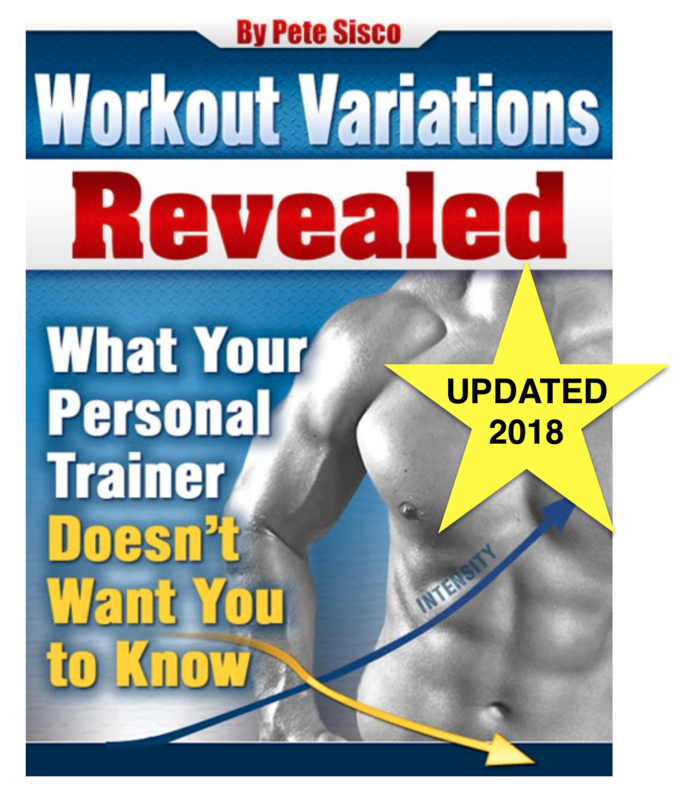 Look at Workout Variations Revealed – we measured the common ways of doing sets and reps for the same reasons – wanting to know for a fact what method generates the highest intensity. Most personal trainers are oblivious to intensity. It’s a shame and I think it’s also unprofessional of them. HI PETE. FIRST OF ALL I WANT TO SAY THANKS AND CONGRATULATIONS ON ALL YOUR WORK. I HAVE A PRETTY BUSY SCHEDULE, THEREFORE NOT ABLE TO GET TO THE GYM A LOT. I’VE BEEN TRYING TO DO AT-HOME WORKOUTS OVER THE PAST FEW YEARS. I WAS WONDERING IF THERE IS ANY WAY TO COMBINE YOUR POWER FACTOR WORKOUTS WITH OWN BODY WEIGHT EXERCISES, SUCH AS PUSHUPS, PULLUPS, ETC., IN ORDER TO AVOID THE NEED FOR EQUIPMENT. I’VE READ YOUR WORK AND YOU SAID IF I AM NOT MISTAKEN THE MOST EFFECTIVE WAY OF INCREASING INTENSITY FROM ONE WORKOUT TO THE NEXT IS TO INCREASE WEIGHT, THEREFRORE ASSUMING YOUR BODY WEIGHT DOES NOT CHANGE SIGNIFICANTLY, THIS WOULD NOT BE VERY EFFECTIVE. THANKS. Glad to see the website back up. Was down the other day when I was sharing an article on here with a new friend. I believe a lot of the fitness world is catching on to some of this stuff in some ways. I saw a video on YouTube recently of a guy who trains powerlifters and is big in the Cross fit movement saying that your max lifts should not be done closer than 2 weeks from the last time you attempted a one rep max. The importance of more rest and recovery time is spreading even if its spreading slowly. I’ll bet that trainer still has people lifting every day between max lifts. Gyms are always run by addicts. Haha. You can use Power Factor to keep track of body weight exercises. For example a pushup uses about 70% of your weight. The problem is progressive overload. If you can’t add weight you have to reduce time and that has its own limitations. Speaking of training in a blind, haphazard way, I’d like to touch on the issue of “Aerobics” for a moment. I’ve noticed that some individuals (in the High Intensity community) swear by and highly recommend “aerobics” or “cardio”. Some even go so far as to state that it makes a big improvement in their endurance. However, this is simply not true. Yes, such individuals may sincerely believe this notion, BUT, their improvement in endurance did not come from aerobics, but, instead it came from the strength gains from their strength training workouts, whether they realize it or not. Many legitimate High Intensity theorists have noticed that endurance comes primarily from strength, skill, and genetics (ie. fiber types genetically). In other words, IT IS THE MUSCLES that do the work. We cannot DO ANYTHING physical without directly involving muscular contraction of some sort, whether it be low or high intensity contractions. Even simple walking involves muscular contraction. Its not as if we utilize some different organ than our muscles for running, walking, or jogging. Therefore, endurance can only be increased by strength increases, not aerobics (ie. a stronger person can endure longer, just like a stronger tree can endure the wind of a hurricane much longer than a weaker tree). Trying to include intense aerobics of any sort is just going to create more problems, injuring people, and, if not, then at the very least greatly slowing down their progress with their strength training workouts. If I were to state that intense cardio or aerobics improved my endurance, it would be tantamount to me claiming that an overdose on protein boosted my strength gains, when I never took into account that I added more rest days between workouts at the same time of the protein overdose. Also, 10 pounds of additional muscle mass will burn a ton more calories than any type of low or high intensity cardio; walking, jogging, sprinting, whatever. Aerobics for both fat loss and cardio conditioning, is way off base. While some forms of cardio maybe high enough in intensity, they are also very high in sheering, impact and compression forces. Things like sprinting can work okay, but the risk is just too much for anyone with average genetics. Plus sprinting while high in intensity, is not anywhere near as demanding as say a Leg Press or Deadlift, done in full range or static manner to muscular failure, and on top of that, sprinting is a lot more dangerous on the tendons and ligaments, joints structures and capsules. To top this off, I’ll let Mike Mentzer take your attention……..and he stated the following……..
“Your heart is a pump that works automatically, involuntarily and continually 24 hours a day, every day of your life. Why should it be necessary to voluntarily over-work it to improve its function? Your pancreas, liver, thyroid and various other organs also function involuntarily every waking moment. Would you ever think to impose added work/stress to improve their functional capacity? Would you drink excessive amounts of alcohol to increase the workload on the liver and, thus, improve its function? No, of course not! There are two important aspects of a man’s physical being that can only be worked voluntarily (i.e. via an effort of will) which are crucial to both health and appearance. These are your skeletal muscles and your brain – with your brain required to function to work your muscles. Your muscles might be thought of as “peripheral hearts”, as their voluntary extension and contraction – especially against resistance – serve to propel the blood back to the heart and, thus, aid in its function and reduce its stress. It is the improvement of the strength and mass of the skeletal muscles that will improve their metabolism and efficiency so that all other efforts are less stressful to the heart. Also, increased lean muscle mass and the attendant enhancement of metabolism will make weight loss and weight control much easier. Researchers have recently discovered that for every pound of muscle gained, 50-100 extra calories a day are “burned”, even at rest! It’s important to note that recent studies have revealed that weight training exercise burns 5 times more calories than steady-state aerobic activities. Pete, I’m posting this because its very objective, and you seem to be very objective yourself, so, please allow this post to get through. I know its controversial, but its well worth letting people read and make a judgment for themselves. Thank you. The body-building world focuses primarily on the building/maintenance of massive muscle and strength, while the fitness world primarily focuses on feats of endurance. At 72 I am now focused on maintaining fitness (meaning mostly the ability to keep functioning physically, independently into the next 20-40 years) into advanced age. I have adopted SCT as my primary approach to maintaining muscle, which very much likes to evaporate with aging, and as a result am stronger than at any time in my life (as defined by weight for 5 second hold). Maintaining muscle means maintaining mobility and physical independence, so SCT accomplishes that goal in fine fashion, presumably for as long as I have breath in me. The next criteria in the quest for functional longevity is heart-lung power. All other things being equal, he with the greatest lung capacity lives longest, a fact very well documented in the research of Dr. Al Sears. His research indicates that the optimum way to maintain and even build lung/heart capacity is using interval training, essentially a series of sprint efforts that take heart rate and breathing effort to the limit of capacity for brief periods (long enough to feel it necessary to give up or drop dead), cycled with periods of recovery at a coasting output rate (usually 1-3 minutes or more until breathing recovers) for a period of under 25 minutes. Do this 1-3 times a week and lung capacity will increase and the heart stay strong for some yet to be defined age where even that fails to keep us improving. So if you catch me at the gym on non-SCT days you will see me doing full range, multi-joint weight training moves at a rapid rate aimed at getting my heart rate and breathing to my limits of will power, alternated with lighter-load recovery periods or stretching for maybe 5 cycles in 20 minutes or so (which I like way more than running on a treadmill) . Couple this approach with eating modest levels of high-nutrient foods, and use of every supplement known that has an impact on improving physical function, maintaining hormone production and fostering quality sleep, and I expect to be doing this well into my second century. SCT is an important part of this personal experiment. Yeah! The guy taught benching at one of the big powerlifting gyms somewhere either in Ohio or California. Wish I could find that video I watched. One of my friends growing up in my area was Nick Winters who would lift at the gym at the pool here in my small town in Indiana before moving to NW Indiana and doing serious powerlifting training to work towards breaking the raw bench world record of over 700 pounds. He was a big advocate of using the “bands” that made the resistance greater as you press the weight up. Kind of like doing a quarter rep while still using a full range movement. I’ve been using SCT for a couple of years now and i love it! however, i want to try the power factor training…i have the old book.however, reading it SEVERAL times has left me very confused…can someone PLEASE explain to me what i am supposed to do? am i lifting for 2 minutes per exercise? and doing 2 sets or more? ..during the 2 minutes of lifting am i allowed to stop and rest if needed? or is it a weight that i can lift continuously for 2 minutes. it says when you first start out to do 20 reps and 2 sets…20 reps for….2 minutes? 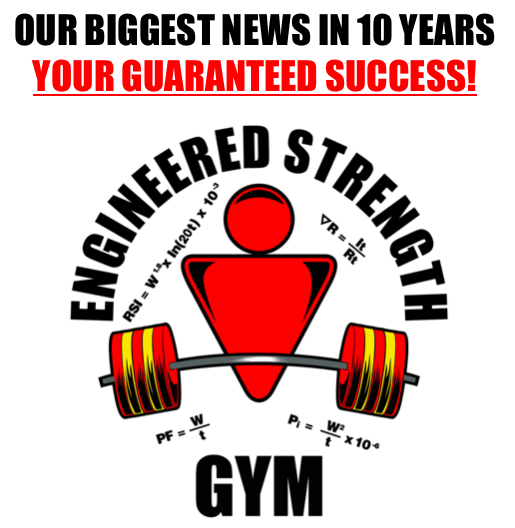 i am a seasoned lifter but new to power factor….where do i begin? if the next time i lift, i can lift the same weight but in less time than 2 minutes do i add weight and lift again to see how many reps i can get in 2 minutes….i know i am very confused…please clarify…will the new power factor book help me with these questions? is it written in a clearer way? I just downloaded “An Introduction to: Static Contraction Training – The World’s Fastest Workout”. Fascinating book! However, because I travel quite a bit getting to a gym is nearly impossible, so, I have a couple of questions. Would the use of DBs for the shoulder press–one handed–work as well as a barbell when training at home. I don’t have a power rack after having cleaned out most of my equipment while downsizing. Another option: would “bands”–I have the heavy duty “Bodylastic Bands” (http://www.bodylastics.com/)–be acceptable? These travel well in the suitcase since most hotel gyms are a small Universal machine and treadmills, if that. THANKS for the reply, Pete! i have the 1997 book. i’ll definitely invest in the new one! You can do inferior exercises with light weights for awhile, but what always happens is you get too strong for your equipment and it can’t stimulate new muscle growth. Same deal with rubber bands – how do you add progressive overload to a band? I travel basically 100% of the time and have for years. I pay the daily rate at a good gym and bang out my exercises in 5-10 minutes then leave, not to return for weeks. Once you’re lifting outrageous weights and keeping track with exactness you’ll completely understand why messing with light weights is a waste of your very valuable time. Greatest training methodology out there! First off – cracking website, full of well written articles and posts without all the ill-bred trolls! Very, very, very refreshing. I have just purchased your Train Smart e-book and am going to follow the program to a tee. Having trained volume (3 times per week….) and currently Mike Mentzer’s HIT (3 sets every 7 days or so) for the past few years it clearly represents the next logical move….most noticeably the increased intensity which will of course lead to a reduction in frequency. I’ll be sure to let you guys know about my inevitable strength gains with hopefully some additional muscle mass to follow. HIT has made me stronger but no bigger, but that is ok – I am training 10 minutes a week as opposed to 5hrs for the same musculature (a moderate 175lbs at 6 feet and body fat of circa 8-10%). I have one query if I may please Pete. Let’s assume my new training efforts results in the eventual need allow for lengthy rest periods (i.e. 30 days plus) I’d like to know at what point the extra muscle tissue might grow after sufficient stimulation? In order to build the muscle without adding body fat I’d like to only eat the extra calories needed. I’m fairly lean and it took some dedication so as of late I’ve concentrated on this rather than my prior endless pursuit off mass – which SCT has just reignited! If hypertrophy occurs within say 7 days (complete guess, forgive the ignorance) of stimulation then can I consume the extra calories for just this period rather than the full 30 days? Once again, great effort with your work and I’ll do my level best to spread the word here in the UK, though I’m sure we’re just as conditioned to ‘mindless volume’ as a lot of our American counterparts….maybe if I was a 250lb behemoth then people would heed! Thanks for the kind words, Nick. And for noticing the trolls have been weeded – not a small task in this marketplace. You have asked the Holy Grail of questions; how can we know the exact day it’s possible to return to the gym a stronger person and how can we know the exact calories we need to build only muscle? Alas, I cannot give you numbers for those. I’m sure when we can measure exactly we’ll find that there is huge variation between individuals. All we have in the meantime are the crude gauges of weight and bodyfat measurements and the PF, PI and SCT measurements to see if we are basically progressing or regressing. I love static contraction. I have just started and am seeing great gains and know it works. I am having some serious difficulty as weights get heavier. Currently for example at 485 lbs for Bench press. The lift seriously hurts my hands even though I use the padded hand grips . My deadlift is currently at 375lbs are difficult even using the hooks you recommend, I really bruised one of my palms. Please advise as I seem to be hitting a bit of a wall and need some help to proceed and continue piling on the weights. I am going to start the Train Smart workout (Alpha) next week after a fortnight off. I’ll eat a wee bit more than usual but make sure I really give it full beans with those holds! For the first time in a few years i’m looking forward to the gym with renewed vigour! If the pain of max weights gets to be a serious issue, back off the weight a bit and try doing more than one lift per session. Your connective tissue will adapt and soon you’ll have less pain even with heavier weights. Hi Pete, good you’ve seen the BBC programme “The Truth About Exercise”. I’ve started to do the 3 x 20 second “blasts” at the end of my SC session. Thoughts? It’s interesting how lots of the guys saw the programme, have said that it looks good, but then continue to do the same aerobics as before. Similarly, I’ve given them print outs about SC, they read them, say it makes sense….then continue to train as before. Currently I’m the only one at my gym doing SC. It’s amazing that in the past, if I didn’t train because of holidays etc, then my strength would go down, now, if I miss training for several weeks, my strength is up! Just did personal best 670lb deadlift after 3 week lay off. It’s mad!! Thanks. I have the typical ectomorph body build and the only sport I excelled at in school was cross-country and distance running. I continued running after college and ran many marathons with a PB of 2:19:30 at age 33 (I was 6 feet tall and weighed 155 lbs at the time). A few years later I ceased distance running and began weight training. I am now 72 years old, 5′ 11″ (we lose height as we age), and weigh 185). Over the years I tried all the usual weight training routines and suffered the usual injuries, mostly to my shoulders. I came across Static Contraction Training a few years ago and it was a “life savor,” meaning that I was able to get stronger without making my shoulders worse. I realized that heavy training with full ROM was “tearing” my shoulders up. I liken it to what happens to the tires on two similar trucks, one with an empty bed and the other with 2 tons of weight in the bed, both driven 10,000 miles. The tires on the second truck will wear out much faster than the tires on the first truck, and the tires on the first truck will show hardly any wear if the truck is not driven at all. Another factor contributing to joint wear and tear is the “angle of pull” of the muscle at a joint which says that at angles other than perpendicular, only a portion of the muscle force is directed to producing joint rotation, with the remainder tending to either pull the joint together (stabilizing, compressing, or jamming force) or apart (dislocating, separating, or opening). Therefore during full ROM movements against force, most of the time the muscle force is affecting the joint, usually adversely. Holding the weight at the strongest part of the range reduces these harmful forces into the joint that full ROM under load produces. If you are having joint and tendon problems, try static contraction training and you will experience much less pain in your joints and tendon while increasing the strength of the muscles. What delivers the highest intensity? 1-Set? 2-Sets? 3-Sets? Strip sets? Pyramid sets? Fixed sets? Timed sets? 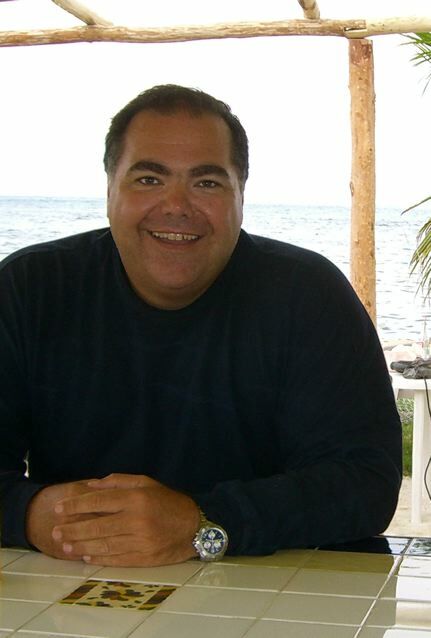 JIM on Are You A New Man (or Woman) Today? What happened to the mega thread talking about the Healthlift, deadlift, ect? © Copyright 1996-2019 Pete Sisco and Contractual Republishing Inc. (Dominica) All rights reserved. The moral right of the author has been asserted.